7-Eleven’s aggressive global expansion continues with another 2,000-2,500 locations planned for Indonesia. The Jakarta Globe reports Modern Internasional, a holding company that owns and operates the 7-Eleven chain in Indonesia, is spending $645 million over the next 10 years to open locations in Jakarta, Bogot, Tangerand, Depok and Bekasi. Henri Honoris, the president director of Modern Internasional tells the Jakarta Globe 7-Eleven is very interested in “tapping the rising middle income class.” He said the company plans to have 7-Eleven stores in or near apartment buildings, office areas, train stations, hotels, resort areas and gas stations. Categories: Uncategorized | Tags: Jakarta | Permalink. Oh snap! The Jakarta Tourism Agency says more than half of the 7-Eleven stores in Jakarta are operating without the proper permits. 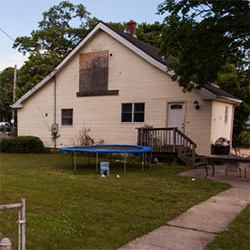 29 7-Eleven stores didn’t have permits to operate and another 31 lacked permits to sell retail goods in addition to food. “The agency has sent a letter to the Public Order Officers [Satpol PP] to seal those 31 outlets,” Jakarta Tourism Agency head Arie Budhiman said on Friday. According to the law, businesses such as convenience stores, minimarkets, department stores and wholesale outlets require permits known as IUTMs in order to sell retail goods. 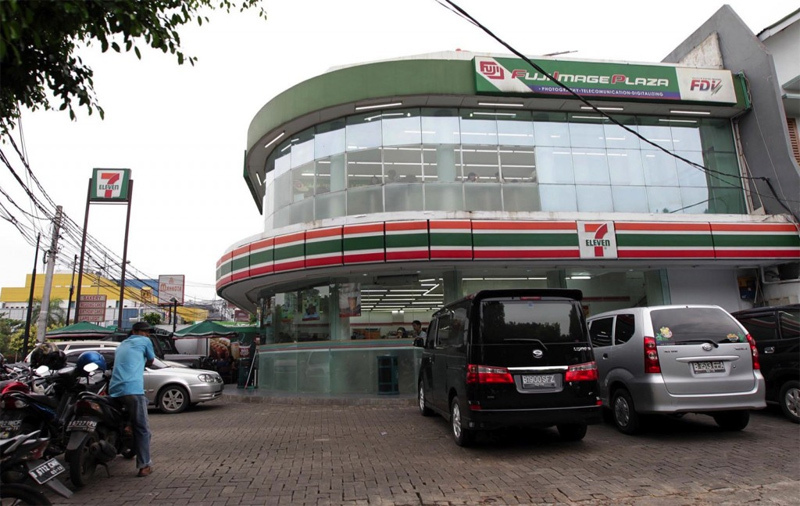 Indonesia’s 7-Eleven franchises are operated by Modern Putra Indonesia, a subsidiary of photographic, electronics and telecommunications product retailer Modern Internasional. Satpol PP has asked several outlets to cease operations but they have remained open, including a store on Jalan Budi Kemuliaan in Tanah Abang, Central Jakarta, which has remained open with a sign in the window saying it was sealed by public order officials. Jakarta Governor Joko Widodo expressed annoyance over the permit issues. There seems to be little consistency with 7-Eleven’s involvement in their franchise locations. On the one hand, 7-Eleven franchisees are suing 7-Eleven for being micro-managed to death, and on the other, 7-Eleven corporate was so far removed 7-Eleven allowed human trafficking to flourish up and down the East Coast. Categories: 7-Eleven Around The World | Tags: Jakarta, Permits | Permalink.